From missions to anomaly ratting to even “end-game” incursions, you’d be hard pressed to find content that you can truly call engaging or fun. And yet, PvE remains one of the most popular activities in Eve. People will rat and mission for hours and will sometimes even pass up more engaging content when the opportunity presents itself in order to continue PvE’ing (i.e. docking and remaining docked when potential hostiles enter local). I say this not to deride this type of behavior but to have an honest discussion about why this occurs. Why do we subject ourselves to arguably the worst part about Eve? Especially since it might offer insight on the enjoyment of Eve in general? Let’s dive into some theories. When I said that the PvE content was absolutely terrible, that wasn’t entirely true. In 2004, a paper was published that detailed a game design theory called “The MDA Framework”. One of the theory’s main contributions was attempting to break down what we broadly categorize as “fun” into different “aesthetics”, or end-user experiences. The eight aesthetics described in the paper are: sensation, fantasy, narrative, challenge, fellowship, discovery, expression, and submission. While the actual list is always being changed or modified, I feel that the original list does a pretty good job, and going down the list, Eve’s PvE does solidly provide one aesthetic: submission. Submission is described in the article as “game as pastime”. It’s being engrossed by a game simply because you it’s something to interact with. It’s why fidget spinners became a thing and why so many people play Windows Solitaire. We already have evidence that this is an aesthetic that people seek in Eve with mining. A quick search on why people mine yields the responses of “it’s relaxing” and “I can run it in the background”. A lot of Eve’s PvE content is similarly low effort, requiring just enough brain power to Ctrl+click and F1 but not much else. Therefore, for the same reason that we see so many miners, I also can see a good amount of people ratting doing so just to tune out and turn off. While there are definitely people who PvE because they genuinely enjoy it, there are also those who hate it but do it anyways. It’s the reasoning behind these players’ behavior that is a little less clear. Of course, the simple explanation would just be ISK. ISK makes the universe go round and is necessary to play most of the game. However, ISK as an explanation isn’t adequate because a lot of PvE goes beyond just covering the expenses of other activities. From CCP’s Monthly Economic Reports, ISK faucets, which are overwhelmingly PvE related, considerably outproduce the amount absorbed by ISK sinks in addition to the monetary value destroyed each month. This means that even if PvE players shouldered the entirety of the sink burden and were the only ones having assets destroyed, they’d still be making more than they’re spending. So what accounts for this excess ratting income? One possibility might be medium maximization. Remember back to starting out as a newbro. The very center of what excites you isn’t ISK or even shiny ships and modules but the promise and fantasy of the Eve universe. You dream of being a fleet commander, a notorious pirate, the owner of an industrial empire. However, in order to accomplish these things, you quickly realize the need for ISK to get there. This has been amplified with the introduction of skill injectors. Now not only can ISK get you ships and modules, it buys you the skills needed to fly them too. So you slowly build up your wealth, tick by tick, mission by mission. But at some point during that grind, you lose sight of what you were initially striving for and focus solely on the ISK. 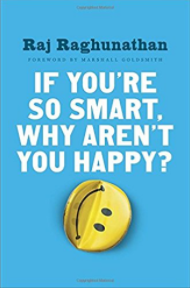 This switch is known by psychologists as medium maximization and it’s defined by Raj Raghunathan as “The propensity to forget all about the end goal one wants to achieve, and to pursue instead, the means or mediums to that end goal”. In Eve terms, instead of striving for hard-to-measure goals like becoming a pirate or just fighting the good fights, we instead start to focus on the intermediates to those goals such as ships, skillpoints, and ISK. The end result is a lot of ratting because we mislead ourselves into equating enjoyment with ISK; it becomes a vicious cycle of chasing empty fulfilment. Players, then, endure ratting because they seek fulfilment. They keep ratting because that fulfilment never actually comes. Another possible reason for widespread ratting comes more from a personal observation: I often catch myself ratting when my play session is limited. This is because PvE in Eve provides a very stable, predictable experience, which is probably why it’s somewhat boring. This predictable structure and payout, however, is what allows me to accomplish something in a time crunch. Want to play some Eve but only have 30 minutes of time? Go run a hub. Only 10 minutes? That’s enough to blitz a burner. In contrast, consider other activities players typically find more engaging. Quality PvP content is often few and far between, while exploration opportunities – especially the more complex sleeper sites – are similarly sparse. 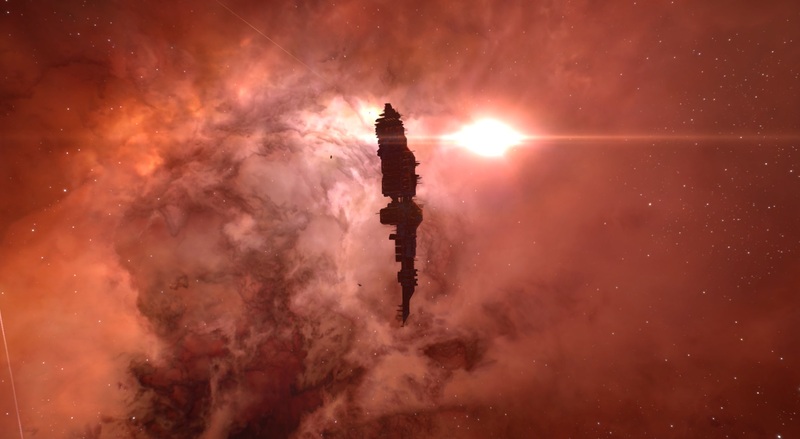 Popular Eve streamer Zarvox Toral often comments on how people starved for content should just go roam, and while I do generally agree with his philosophy, I don’t think it’s practical to the majority of players. Most people just don’t have the time available to go roam for hours during Eve prime time, so they end up going out while it’s quieter. And if there’s something more boring than PvE, it’s jumping gate after gate of empty space. Add in the possibility of hours of roaming ending with getting ganked and you have a high-risk, time-intensive activity with below average expected return in both enjoyment and assets. When faced with time restraints, a lot of people would find it much more worthwhile to make a little ISK rather than spend an hour of potentially just warping around. Now we start getting into the doom and gloom. Maybe the reason we rat is because the alternatives are just as bad or perhaps even worse. While I don’t buy into the “Eve is dying” crowd, there is some truth to be said about some mechanics – especially sovereignty and structure mechanics – resulting in gameplay that isn’t particularly engaging. Structure bashing, entosising, and even just large fleet fights in general are agreed upon as pretty lacklustre. This is could take up an entire article by itself so I won’t focus on it here, but I believe this is partially because of how much of the “gameplay” takes place outside the game. Outcomes are determined more by how many dudes you can ping, fitting optimization and trap setups more than anything done during the fight itself. At least, this is how it feels for the average line member. There are definitely exceptions, such as logistics keeping up with broadcasts and good bombing runs, but to some extent, large fleet battles are just F1 slugfests and/or one-sided orbiting/bashing if the other side decides not to show. So if the gameplay itself isn’t engaging, what else is there to play for? Ego is definitely one if we can learn anything from the abundance of battle report posting and trash talking after fights. But this works the other way, too, with people stagnating and avoiding fights if odds aren’t in their favor. Another reason might also be ISK, either directly from looting wrecks or by opening up ISK opportunities through taking sovereignty or moons. As we’ve discussed before, however, ISK is merely the illusion of enjoyment by itself. If the goal is just ISK, PvE is still probably the way to go. When looking at it this way, there might not be much reason to stop ratting and do something else. Again, I don’t believe the rest of Eve being bad is is truly the problem; as you might have noticed there’s a lot of it that I didn’t even touch upon. 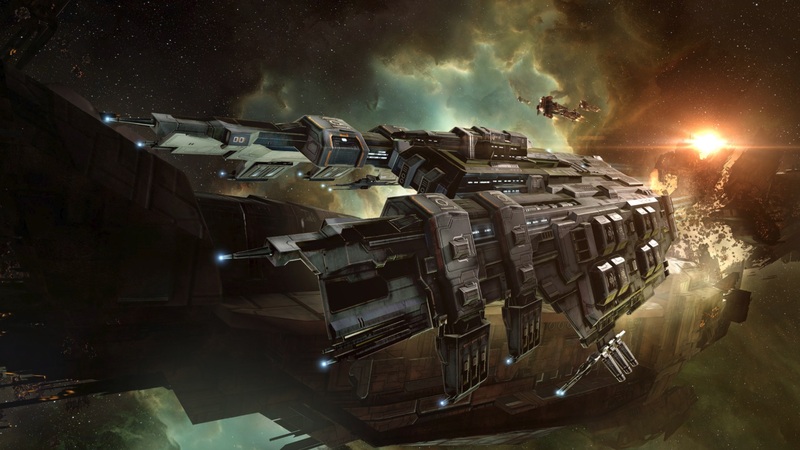 I wanted to focus on PvP because it is what I know best and is what I believe delivers a uniquely different aesthetic from the rest of Eve. However, there certainly is enjoyment to be found in industry spreadsheet optimization and market PvP. Nevertheless, through this lens it’s easy to see how combat skilled pilots (i.e. potential ratters) might not be incentivized to do anything other than rat with that character. Finally, in some cases we rat because we’re not actually doing it. Now I’m not going to make any claims to know the extent of botting and RMT-ing, but it certainly does occur and I don’t think anybody will contest that claim. Not going to spend too much time discussing this one other than its unhealthy for the game, and it probably accounts for a small but significant portion of ratters out there. So how does all this information ultimately affect you? Well, for those who PvE merely for abnegation and relaxation, it doesn’t. You guys keep on doing you and enjoy the part of the sandbox that you’ve taken a liking to. But if the other reasons are true, then something needs to change. A common complaint that players, myself included, have had in recent years is the lack of engaging content and I believe some of this is self-inflicted. Due to our natural psychological tendencies, we gravitate towards medium maximization and subject ourselves to sub-par PvE content instead of truly seeking the experiences we enjoy. For example, I remember starting incursions because I wanted to fund my PvP habit but ended up almost exclusively incursion running during that period; always convincing myself that I’d leave after just a couple more sites. Needless to say I burnt out and ended up taking a long break after a few weeks. The moral of the story is that you should go seek what you enjoy instead. Go welp that Vindicator fit you’ve been meaning to try out rather than spending it on skill injectors or deciding to save for a carrier instead. Now that you’re aware of the habit that might be keeping you from having fun, you can push against it to start enjoying Eve again. Unfortunately, not all the problems outlined here are ones that can be fixed with just a change in player attitude. If existing systems are failing, it ultimately falls upon the developers to improve them. As players, customers, and invested community members, we have a right to ask for a better, more engaging game from CCP. Some of the changes might need to be drastic, such as perhaps implementing entirely new features that encourage more readily available conflict, not too unlike what faction warfare was meant to be. Aegis Sov probably needs some substantial reworking to reach its well-intentioned vision, too. On top of this, additional incentives other than just “moar ISK” would be beneficial. We’re already starting to see this in the region locked Blood Raider Sotiyo event (unique, extremely rare ships) and seasonal event drops (skins), and I believe that these are solid steps in the right direction. Just because we need help from CCP’s end doesn’t mean we can’t do anything, though. These ideas are just the tip of the iceberg and vastly better ones certainly lay dormant within the community’s collective intellect. Therefore, I implore you to brainstorm. Reach out with your ideas to CSM members and developers. Test prototypes of them on Sisi, TQ, or even as an event Thunderdome. As much ridicule as the “Querious Fight Club Wildlife Preserve” gets, we’ll probably learn a lot about what works and what doesn’t from its existence. The awesome part about Eve is that we can create the content if we make the effort. As a final note, in no way does this excuse the PvE content from being subpar. I think it desperately needs some updating and sincerely hope that it gets a facelift in the near future. But working on PvE as players is more difficult because, by definition, PvE is interaction with the environment. It falls a lot more on CCP’s end to fix. By focusing on the player generated content though, we can begin to make a difference on our own.